Why Visit Tulsa on vacation when they’ll pay you to stay for a year? 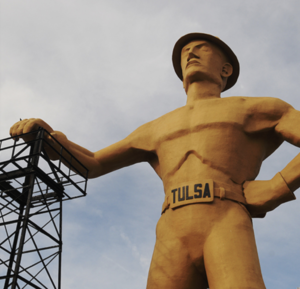 Tulsa, Oklahoma has an offer that’s hard to refuse: Move here and bring your remote job with you. They’re sweetening the deal with $10,000 in cash incentives for things like relocation, rent, and utilities, plus a free co-working space to accommodate that growing chunk of the workforce who work remotely. And, there’s a bonus paid out at the end of year one. So, what’s the catch? Those selected can spend their money in Tulsa, but cannot take a job (away from someone else) in Tulsa. Oklahoma taxpayers aren’t footing the bill, either. “Tulsa Remote” is privately funded by the George Kaiser Family Foundation. Makes good sense? A win-win? Are other cities adopting the model? Read more here. Are Media Buyers Facing Up to the Facebook Problem?